Someone buy me this dog? Kthxbye. HE LOOKS LIKE A LION! I would name him Mufasa. 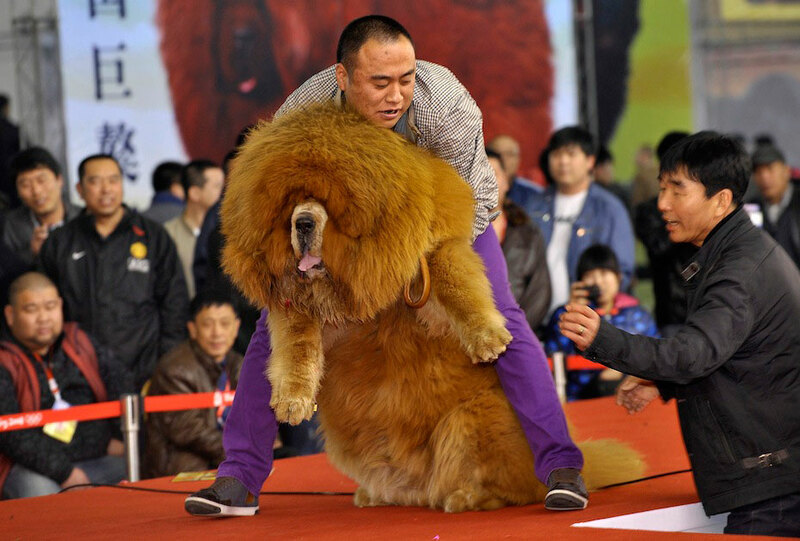 This is apparently at a dog show in Shenyang, China… the dog is a Tibetan Mastiff… and he’s all “WTF ARE YOU DOING TO ME, BRO?